When I first met Erin, I knew I was going to have the most fun in the world designing her wedding, and I was absolutely right. 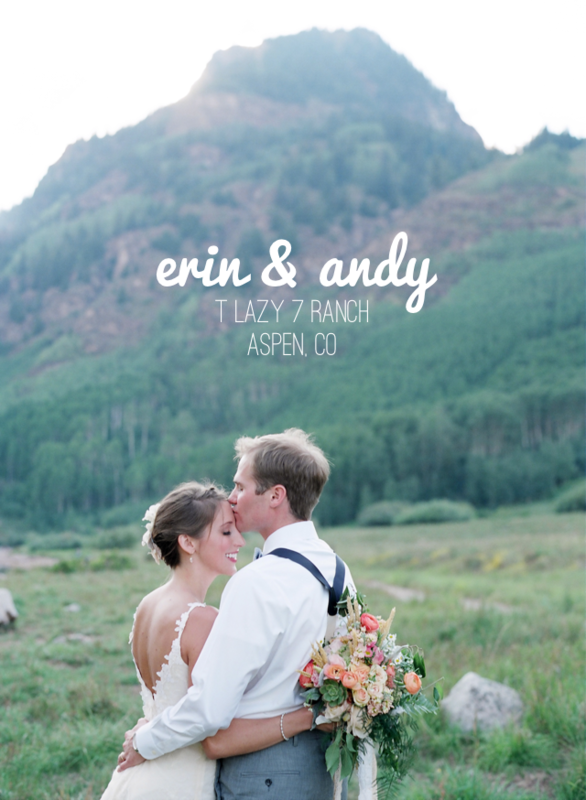 She and Andy were easy-going, creative, and game for all sorts of fresh ideas. I felt like I was able to "get their pulse" immediately, and their wedding was perfectly, effortlessly THEM. With the ceremony taking place in an impossibly stunning location in Aspen surrounded by mountains, and the reception in a rustic lodge, with a large range of botanical elements, an ombre color scheme, button and lace details... well, it was bound to be an exceptional event. 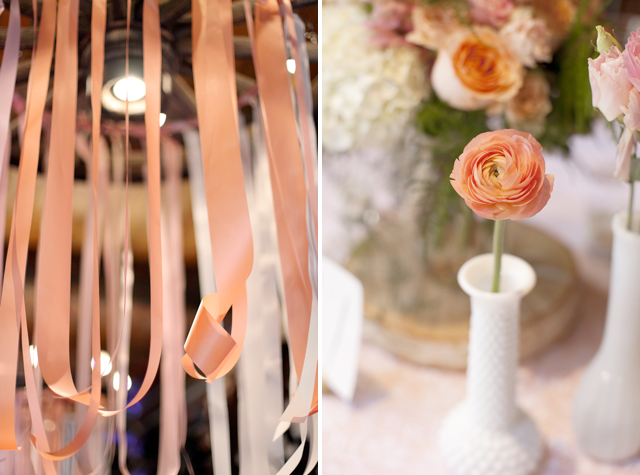 There were a few stand-outs, like Erin's crazy amazing bouquet, the ombre floral treatment I created on their ceremony arch, and the ombre ribbon treatments I designed to hang from the lighting fixtures at the reception. Looking back on these photos, I'm reminded of what a wonderful couple Erin and Andy are, and how honored I was to be a part of their unforgettable day! 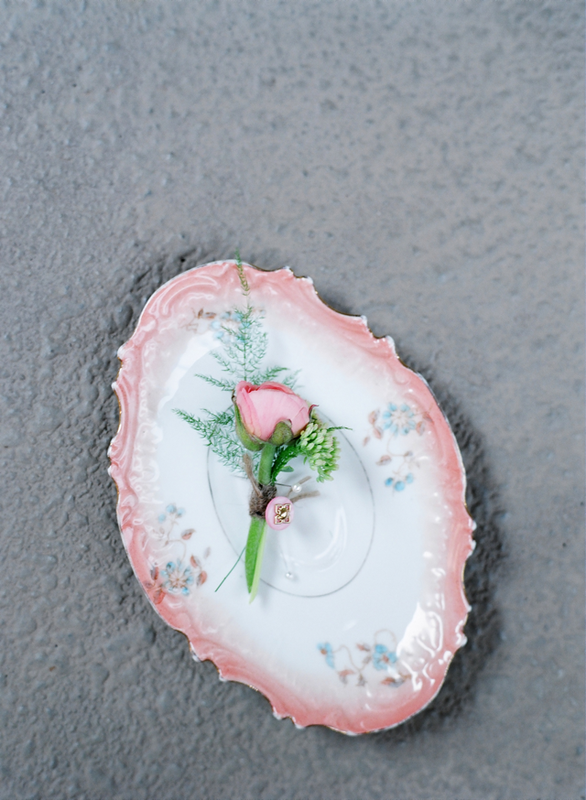 CREDITS | Photography: Laura Murray | Floral & Event Design: Lauryl Lane | Day of Coordination: Pink Champagne Events | Bride's Dress: Claire Pettibone | Hairpiece: Tessa Kim | Makeup: Nicole Soukup | Hair: Salon Rua | Bowties: Made by Bride | Venue: T Lazy 7 Ranch | Catering: Hickory House | Photobooth: Magbooth | Umbrella Rentals: Splendor for your Guests | Invitations: Flourish Letterpress | Calligraphy: Victoria Hoke Lane.